One of the best ways to get a grasp on a New York neighborhood is by scoping out the local bar scene. So whether you’re craving a glass of Bordeaux in a hushed wine bar or a well-crafted cocktail in a swanky lounge, here are five bars you shouldn’t miss in NoMad. The best part? All of these spots are within walking distance of each other – if you’re in the mood to build the ultimate bar crawl – and equally important, of a restful night’s sleep at Mondrian Park Avenue. 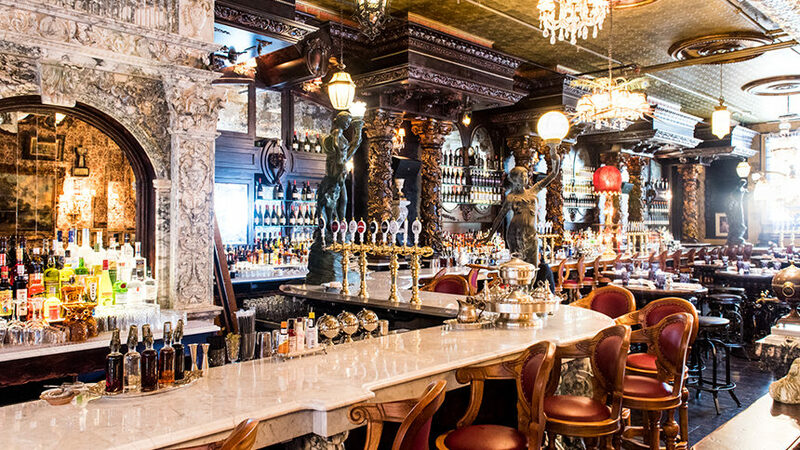 Last summer, this bar inspired by the flamboyant Irish writer opened to much fanfare. For starters, it’s scandalously located in the former headquarters of New York City’s Bureau of Prohibition. Second, you’ll notice how endless the bar seems. (It clocks in at almost 119 feet, making it the longest bar in Manhattan.) Then there’s the extravagant design. Practically every inch and corner drips with luxurious accents, such as white Italian Carrara marble, stained glass, and vintage art. 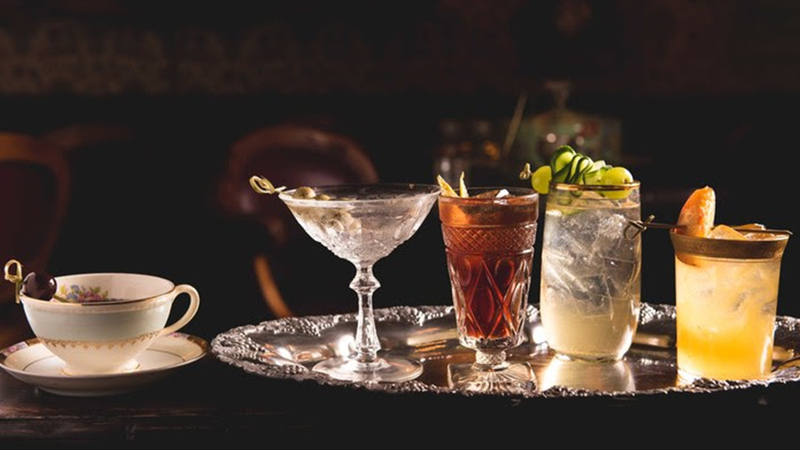 Thankfully, the signature cocktails (broken into two categories, Victorian and Prohibition) are as whimsical as their surroundings. The Prohibition Manhattan, for example, is a bracing blend of rye whisky, sweet vermouth, and bitters cheekily served in a tea cup – in true Prohibition fashion. Opened in 2015, this spot boasts all the hallmarks of the best beer halls. Two floors with plenty of seating and tables ensure you’ll be able to nab a seat with friends. And no matter when you visit, you’ll always be greeted with a lively vibe. 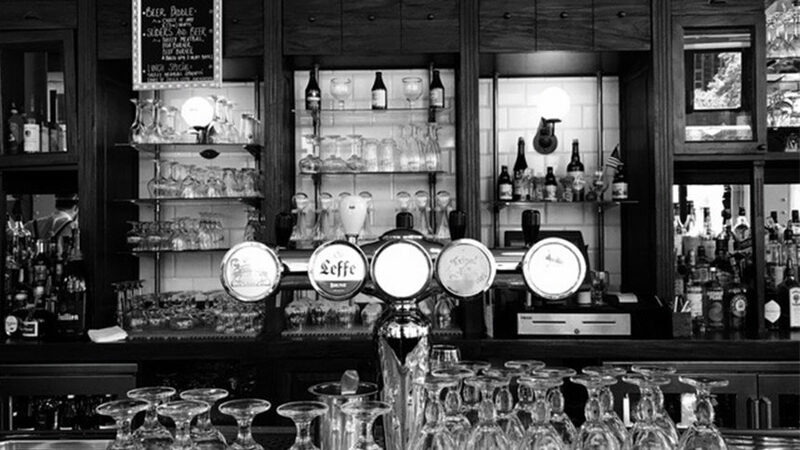 The Belgian brews on tap are consistently served at the intended temperature and in the appropriate glassware. As for the food? It pairs perfectly with all the beers. Moules frites – there’s five versions, from the traditional Marinières to the original spicy and cheesy Red Duvel – are a natural choice, but there’s plenty of heartier fare on deck as well, like the Carbonnades Flamandes (Belgian beef stew) and lemony seafood spaghetti. Even the most dedicated Francophile will flip for this cozy wine bar, tucked away in the heart of NoMad. The space is long, narrow, and kitted out in familiar Parisian style with its marble bar, red leather stools, ceiling fans, and lots of dark wood. 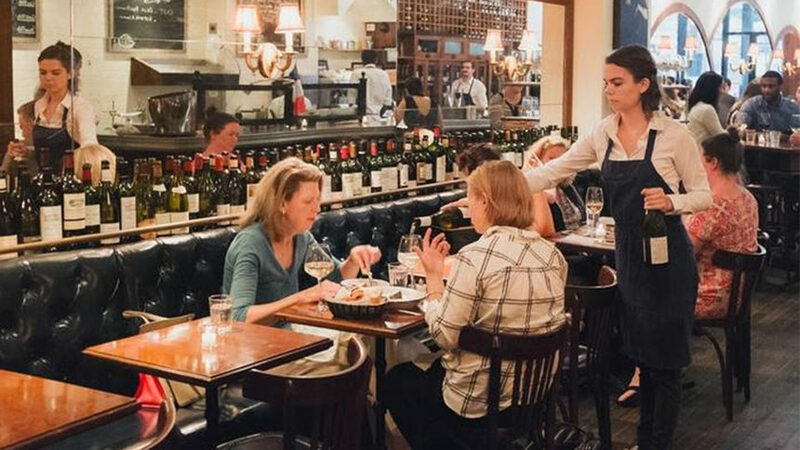 As you’d imagine, the wine list skews heavily French, and unlike fellow bars that offer just a few by the glass, Vin Sur Vingt is known to pour up to a whopping 50 wines carefully sourced from regions like Bordeaux, Alsace, and Corsica. But if you don’t know what any of that means, no worries. The affable staff is more than happy to help educate you. The speakeasy trend shows no signs of slowing, as evidenced by the buzzy opening of this basement lounge helmed by nightlife veterans Harrison Ginsberg and Nick Rolin earlier this year. But what’s most interesting about the concept is that is has two distinct personalities. Upstairs and during the day, it identifies as Patent Coffee, a cheerful nook doling out exceptional espressos and perfect pour-overs alongside pastries by Pain d’Avignon. Come evenings beginning at 5 pm, it morphs into Patent Pending, the 34-seat, dimly-lit den whipping up original libations like the best-selling Radio Waves, a spirited concoction of tequila, mezcal, rum, basil, and Thai chile. As you can imagine, this place gets packed quickly so reservations are a must. 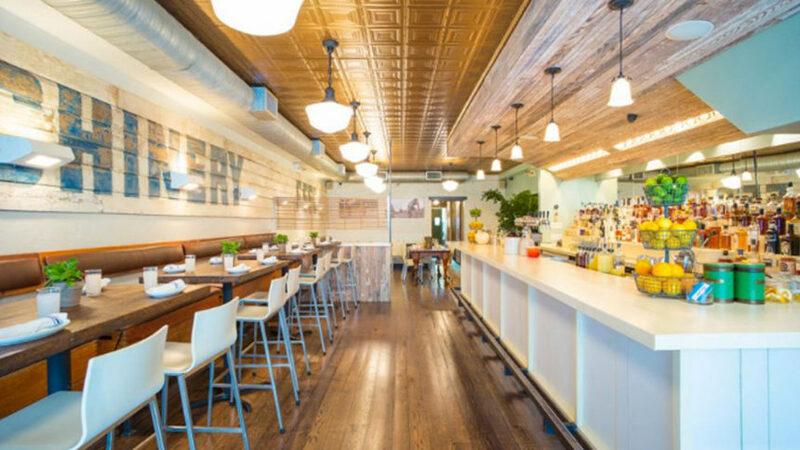 Located next to its sister restaurant (the meat-centric Cannibal, with which it shares a food menu), this spot enlists, as the name implies, a more drink-driven approach. The wine and cocktail selection may air on the short side, but it’s full of fun choices and even some shots. And though there’s lots of delicious snacks to graze on (like confit chicken wings, everything soft pretzels, and tuna tartare), don’t pass up the award-winning Cannibal Stacked Burger. Imagine two beef patties, melty gruyere, crispy bacon, and chili-spiked mayo piled high on a squishy sesame seed bun. Even better? You can score this mammoth crowd pleaser and an ice-cold Manhattan for $15 during happy hour.